In light of reports of the handful of Ebola cases elsewhere in the US, healthcare workers in Florida and Pensacola are making their own preparations just in case. However, there have been no Ebola cases here, or in the rest of Florida. Suspected Ebola cases reported in Miami and Jacksonville this week turned out to be something else. Governor Rick Scott last week asked hospitals across Florida – large and small -- to require that their healthcare professionals undergo safety training to guard against Ebola measure. Scott is asking the Centers for Disease Control and Prevention to hold a conference call with Florida hospitals in the next 48 hours, to discuss the best training and personal protective equipment protocols. Dr. Michael Oleksek at Baptist Health Care says they’ve met with local emergency management officials, and emergency room and infection control staff on procedures. Oleksek says they’re not expecting a great number of Ebola patients, beyond perhaps one or two, if that many. He adds that all Pensacola-area hospitals are well-equipped to handle patients with communicable diseases. 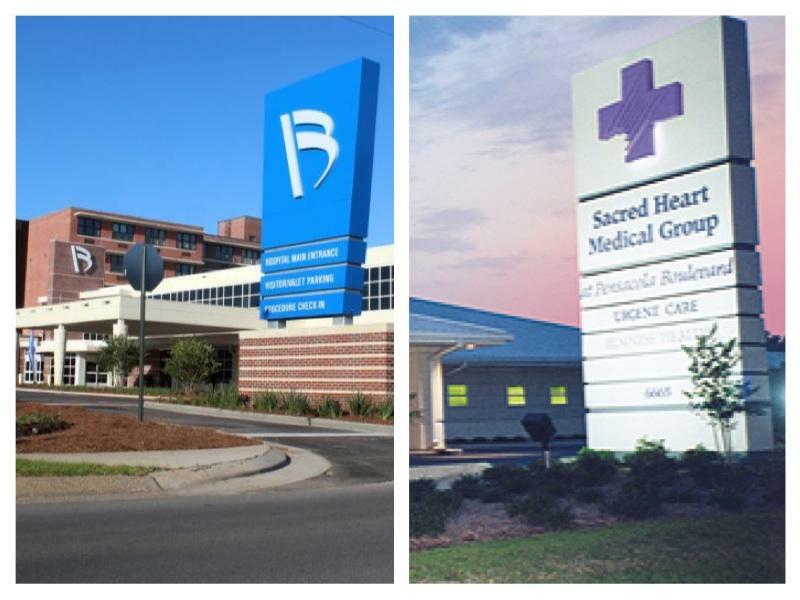 Both Baptist Health Care and Sacred Heart Health System are developing plans to isolate any Ebola patient brought to their doors. Dr. Tim Rak – who leads Sacred Heart’s Emergency Department – says they formed a group of hospital officials right after the first case in Dallas was reported. Calls to West Florida Hospital seeking an interview on its preparations were not returned. While Ebola is not considered an airborne pathogen, Rak says they would err on the side of caution and place patients in rooms where the air flow is out through a filter – similar to how tuberculosis patients are treated. A vital part of battling any Ebola that may come to this area, says Rak, is communication among the various – and usually very competitive – healthcare firms. But what Drs. Tim Rak and Michael Oleksek hope local residents realize and remember, is that the chance of getting Ebola is miniscule. And both emphasize that this time of year, the odds are better of someone contracting the flu. As far as the media coverage of the Ebola outbreak in West Africa and the few cases in North America, Oleksek says it’s been a mixed blessing. Meanwhile, the Florida Department of Health is re-directing more than $1.2 million in state funds to help with advanced Ebola preparation. Surgeon General John Armstrong says they’re also working to redirect over $7 million in federal grant funding to Ebola preparedness. Of the latter almost $6 million requires federal approval. Syphilis is nothing new. "Syphilis has been a problem in Escambia County for as long as the Escambia County Department of Health has been around which is 193 years" said Dr. John Lanza, the director of the Florida Department of Health in Escambia County. But over the past four years the number of cases of the sexually transmitted disease in Escambia County has risen dramatically. The number of reported cases of flu in the area have been increasing in recent weeks, but this is by no means a banner year for the flu. There have been cases reported since late September. Dr. John Lanza, director of the Florida Department of Health in Escambia County, points out the cases that have been reported are a strain of the flu called H1N1. World AIDS Day is commemorated each year on December 1st. Pensacola and surrounding communities held an observance at the Hancock Pavilion at Community Maritime Park Stadium. The event provided an opportunity support those suffering from HIV and AIDS. Also, it was a time to remember those 1,224 Northwest Florida residents who have lost their lives to the disease. Many of those individuals were honored with AIDS memorial quilts that were hung from the rafters. There were performances by the Belmont Youth Band and Ballet Pensacola. The rabies alert, first issued last week, lasts for 60 days and is designed to notify the public of a concentration of animals testing positive for rabies in the area. Dr. Karen Chapman, Director of the Florida Department of Health in Okaloosa County, says this is a relatively unusual occurrence but residents should be aware that rabies can be found in all kinds of wild animals, "In this case it happened to be bats, that is we had three rabid bats associated with contact with humans or domestic animals in a 30 day period."